It's time for the new blog candy I announced yesterday. 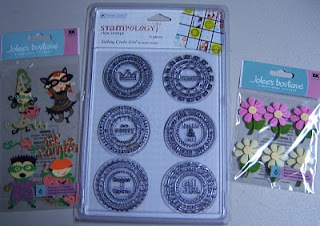 An Embellishment/Rubber Stamp (acrylic) grab bag. I'll post the lucky winner Sunday evening sometime. Oh, how I love to stamp!! thank you for the chance to win! 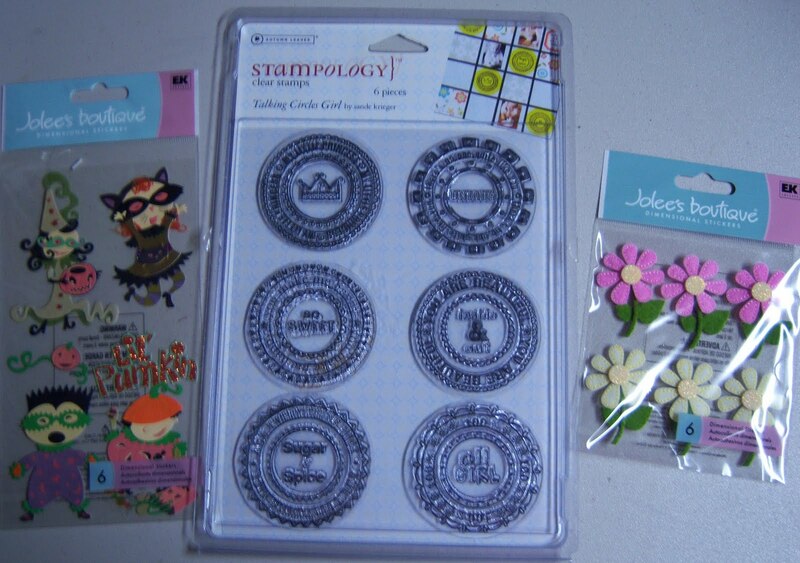 I have just recently started stamping I think I have 5 stamps! Could defiantly use more! So nice of you! Thanks for the chance to win! ohhhhh - I love Blog candy! Thanks for the opportunity to win some fun stuff! Yay! Thanks for another great blog candy. Fingers crossed! Love that blog candy! Thanks for the chance to win! Love your blog! Did someone say Free or win? I'm in! Thank you for the chance to win something. I'm new to stamping so this is nice. Thanks for the chance. i am very interested in the projects that you will create as i see the list of cartridges that you have and the machines to use them, i have a greater understanding of your and your husband's fear as listed at the bottom of your blog! lol!!! I ran into your blog just in time. I'm now a follower because I love anything to do with the cricut. Thank you so much for the chance to win some candy!!! I look forward to seeing many more projects on your blog. That is so nice of you thank you for the chane to win. Cute!! New to stamping! Thanks for the new giveaway!! I have been following for some time now and get lots of inspiration from your videos. I just found your blog! Nice projects! Thanks for the chance to win! Your blog is super cute! Great ideas!